This guide explains how to invest in cryptocurrencies, why you should invest, and which cryptocurrencies you should have in your portfolio. Chances are you’ve already heard of a few of the more popular virtual currencies, such as Bitcoin and Ethereum. This new form of currency is by far the hottest thing in the financial news right now as millions of dollars each year are being invested in Bitcoin and other cryptocurrencies. In the past, investors have been extremely successful as the value of cryptocurrencies has been increasing steadily since 2011. Additionally, it is far easier, safer, and more affordable to invest in Bitcoin, Ethereum and other, similar currencies than it is to invest in mutual funds. Cryptocurrencies also offer you a level of privacy that cannot be obtained when making other investments. The best part is, you don’t need to be an investment wizard to get started – just a good grasp on investing basics and some funds to invest with. The following points will help you to determine if you have what it takes to be a successful Cryptocurrency investor. It is a good idea to get to know the market before investing in cryptocurrencies. You will want to decide what type of investments to make, how much money to put on the cryptocurrency market and at what point you want to sell. Following the market and keeping up with the latest cryptocurrency news can help you make wise decisions. At present, you can either invest in the blockchain technology behind the cryptocurrency exchange market or purchase one or more types of cryptocurrency outright. 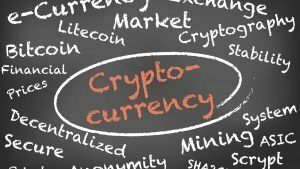 Following is an overview of each cryptocurrency purchasing option and what they entail. While there isn’t necessarily a single best cryptocurrency investment option, investing in blockchain technology can be less risky than purchasing a single cryptocurrency. 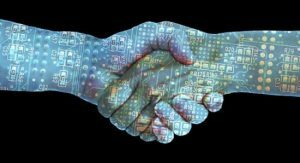 Blockchain technology will automatically grow with the cryptocurrency market even if one or two particular currencies don’t make it in the future. Professional advice in this field can help you make wise investment choices and provide you with access to investment opportunities that are simply unavailable elsewhere. Blockchain Capital run by Crypto Entrepreneur, Brock Pierce, is the leading venture capital firm investing in the technology behind various cryptocurrencies and the firm’s portfolio includes leading Blockchain companies such as Bitgo, Blockcypher, Ethcore, Gocoin and Kraken. Blockchain Capital encourages investors to diversify company investments by picking anywhere from five to ten cryptocurrency companies to invest in. Alternatively, you may want to consider investing in one or more actual cryptocurrencies. Well known cryptocurrencies such as Bitcoin, Ethereum and Litecoin can be purchased from exchanges such as Coinbase, Kraken and Gemini. You simply need to provide some personal information to verify your account and then decide how to purchase the coins you want. Those who want to invest in lesser-known cryptocurrencies can do so on Poloniex and Livecoin. However, these websites don’t accept traditional currencies. You will need to purchase Bitcoin or Ethereum coins first and then use these to trade for other up and coming cryptocurrencies. Once again, it is wise to choose more than one investment option. A diversified investment will reduce risk and has the potential to yield good results. Cryptocurrencies that were of little value in the past are currently gaining value at an astounding rate so don’t overlook seemingly small investments. Do You Have What it Takes To Be A Successful Cryptocurrency Investor? Only you can decide if you have what it takes to be a successful cryptocurrency investor. There are risks involved as the market is relatively new and some currencies are volatile; even so, the potential rewards can be well worth the bumpy ride. What is more, these investments are not necessarily riskier than many traditional paper investments. Potential cryptocurrency investors simply need to get acquainted with the market, choose their investment options with care and then get started. You can also get started with micro investing. Also check out these Recommended Tools.